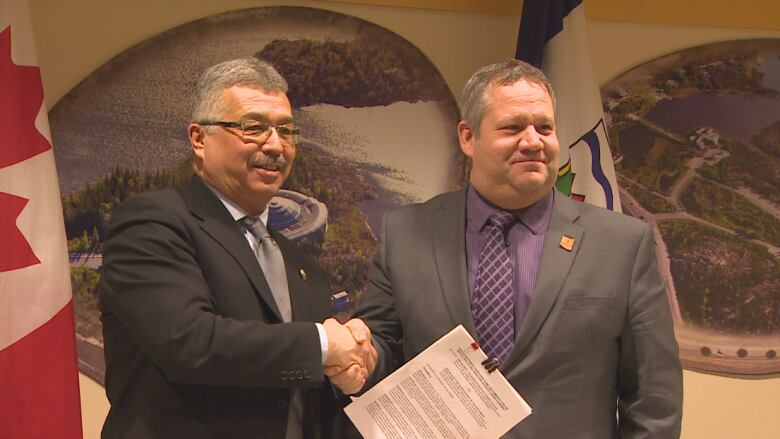 Federal government commits $6M for suicide prevention, home care in N.W.T. N.W.T. Health Minister Glen Abernethy said $2.4 million will go toward developing a suicide prevention and crisis support network in the territory. The federal government committed more than $6 million toward improving health-care services in the Northwest Territories on Tuesday. The money will be spread out over the next five years. It comes from $11 billion committed in the federal 2017 budget to invest in improvements to mental health and addiction services, along with home and community care, across Canada over 10 years. "This network will enhance culturally appropriate approaches to suicide prevention, provide support to communities to build a sense of hope and meaning, while also improving our ability to provide timely response to community needs in the event of a crisis," he said. According to Abernethy, the network will help communities like Fort Simpson, which faced the loss of four young people to suicide in 2017. "We know when crisis occurs, the last thing people want to be doing is think about how they're going to get support," he said. "We want to make sure the support gets there and is there and is available, and that's what this fund is going to help us design." From this funding, $3.6 million will also go toward home and community care services to support the elderly to live at home as long as possible, or provide long-term care.